Show your strengths when you organize a professional fighting event. 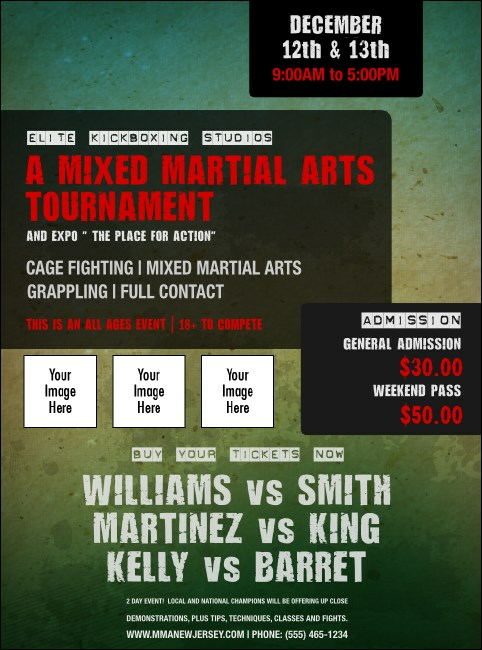 Grab potential attendees attention with the Contemporary Mixed Martial Arts Flyer. A modern flyer, printed in bold colors, this professionally printed design boasts space for up to three images on this template. Feature your matches in bold color and style. Up the professionalism of your event with matching materials from TicketPrinting.com.